Not Not it’s a brain-busting challenge based on logic and orientation. Follow the written instructions to swipe your character towards the correct direction (top, bottom, left or right) and victory. As you reach higher levels in the game, increasingly complex and varied instructions will require use of both your logic and dexterity for you to succeed. – in the infinite mode, go as far as possible following more and more complex instructions! Here you can see a Not Not gameplay. It’s very simple & fun! download it now (if you haven’t yet). 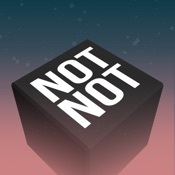 If you are looking for a quick Not Not level walkthrough, cheats and solutions here at SolvedApp we bring you the best gameplays of Not Not – A Brain Buster help you need to get through every level.